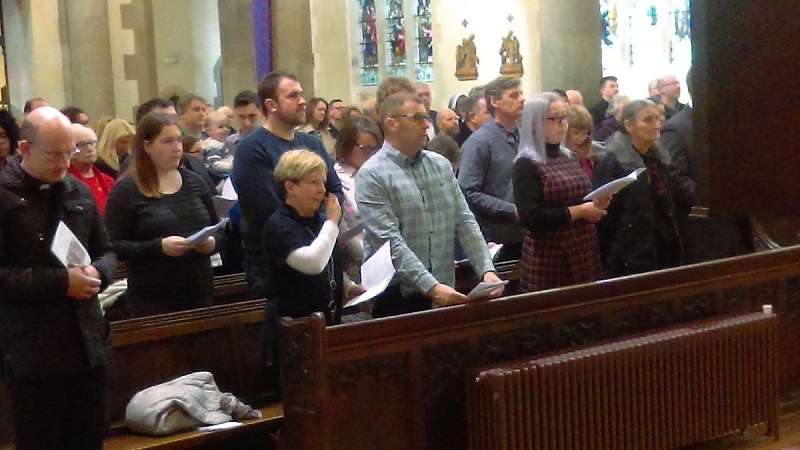 Rite of Election | The Parish of "Our Lady Of Furness"
​On Saturday the 4th March a good number of those preparing to either enter into full communion with the church or wish to be baptised attended the rite of election at Lancaster Cathedral. 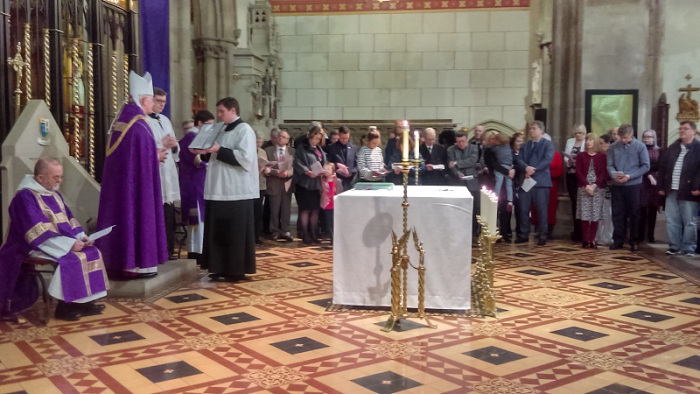 This group of people have weekly been attending the RICA programme in our parish. The Rite of Christian Initiation for Adults (RCIA) is a formal program of catechetical instruction, ascetically practice (prayer and spirituality), and liturgies whereby adults called catechumens are formally admitted into the Church and receive the Sacraments of Initiation Baptism, Confirmation and Holy Eucharist. (The Sacrament of Penance is received later since baptism washes away all sin original sin and actual sin.) The “Constitution on the Sacred Liturgy” of the Second Vatican Council decreed, “The catechumenate for adults, comprising several distinct steps, is to be restored and brought into use at the discretion of the local ordinary (Bishop).